On October 7, European and American lawmakers began the second round of negotiations over the Transatlantic Trade and Investment Partnership Treaty (TTIP). Although the internal deliberations and eventual outcome will not be known for some time, eager spectators can postulate over whether this will be a heroic victory for international free trade, or once again be a casualty in the retreat from globalization. Considering the U.S. government shutdown and European opposition to genetically modified organisms (GMOs), my vote is for the latter. The overarching objective of the partnership is to increase trade between the United States and the European Union. Low-hanging fruit in pursuit of this goal is to remove all residual tariffs that remain between the two trade blocks, followed by the much more difficult goal of removing non-tariff barriers. Such “non-tariff” barriers include differences in industry standards and regulation, which, if harmonized, would save businesses on either side of the pond a great deal of production costs. The fruits of a fully fleshed out treaty are substantial; both partners would experience significant economic gain. To put it quantitatively, the removal of residual tariffs would garner the European Union 0.4 percent GDP growth and the United States a full point, while estimates of growth from non-tariff barrier removal are, optimistically, 3 percent for each partner. There would also be considerable external effects. 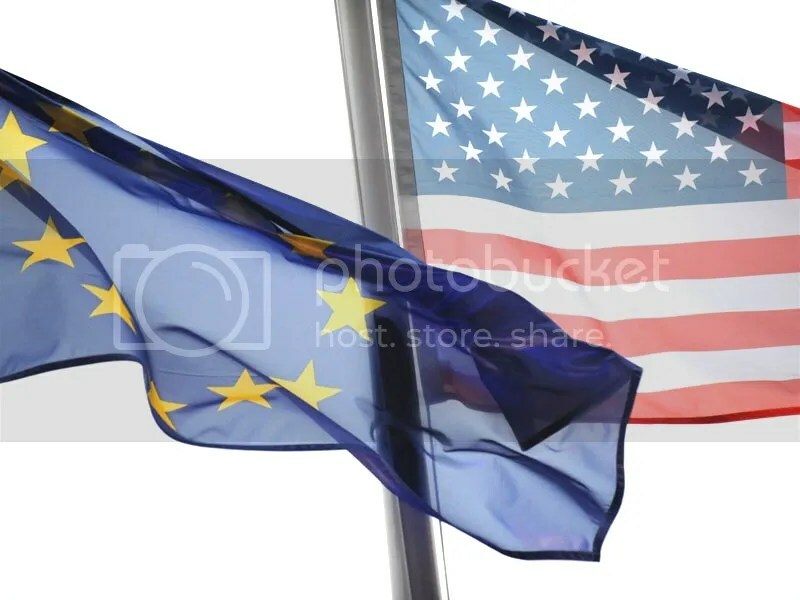 Together the European Union and the United States make up 40 percent of the world’s economy, and any treaty between them would essentially set industry standards globally. This in turn would force even non-treaty economies (like China) to comply with standards. Many observers have also noted that TTIP would generate momentum for the Doha Rounds, the free trade negotiations within the World Trade Organization that have been stalled for years. For free trade enthusiasts, this would truly be a dream come true. Regrettably this dream is poised to become more of a nightmare. The aforementioned obstacles preventing a successful deal are so intractable that even the considerable willpower of the negotiators is insufficient to overcome them. To begin, there is the already delayed commencement of the second round of negotiations, scheduled to have started October 7, due to the U.S. government shutdown. This is a postponement, not a cancellation, so they will eventually resume, but time is not on TTIP’s side. The EU Parliament’s election cycle nears and soon after comes the notoriously drawn out American election cycle. Once election season begins, Congress is unlikely to ratify an even slightly controversial treaty. The sooner the negotiations resume, the better. The largest barrier is also the one that will make this treaty so (potentially) controversial. Europe has a notorious distrust for American GMOs, and has very strict regulations on which ones are allowed to enter Europe. Most crops are either banned altogether, or require labeling. Several of the Senate’s top trade lawmakers have taken issue with these restrictions, and have urged for no deals without GMO compromise. Herein lies the seed of destruction inside the trade deals: Europeans already dislike the existence of GMOs. Any deal that enables unrestricted GMO access to European markets will never be amenable to Europe’s lawmakers. A middle ground compromise is unlikely to be enough to satisfy the Senate, and certainly not the House. Given these hurdles, the Transatlantic Trade and Investment Partnership treaty will probably not come to pass. In a more reasonable world perhaps we could salvage victory by eliminating at least the remaining tariffs, but this is unlikely as well since both sides have affirmed that this deal will be “all or nothing”. It looks like it will be nothing. Better luck next time, free trade.